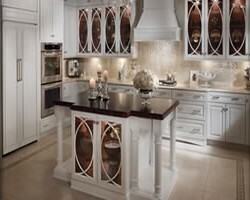 Kitchen Masters is a company that specializes in kitchen remodeling in Milwaukee, WI. This company is known for how well they work collaboratively with clients. You will be able to be a part of the process or opt to leave the plans to the experts. This ensures only the best results are achieved and you are totally happy with the kitchen when it is finished. From choosing the materials that are used in the project to walking through the possible layouts, you will be making the big decisions with guidance from the experts. 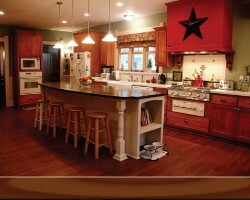 Absolute Home Improvements is the company that many Wisconsin homeowners have trusted with their kitchen renovation. 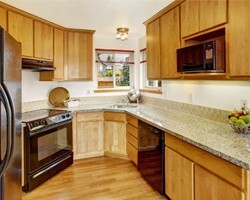 This company has experience with all aspects of home care and renovations. Being familiar with this kind of work extensively means that this team is able to come up with even better solutions for your kitchen remodeling project. Whether you are looking to restructure the space or simply want to replace the cabinets, this team is there to help from the start to finish. As a kitchen remodeling contractor, Kitchens & More is dedicated to providing the best possible renovations for their clients. Working with this company is not just about telling them what you want and walking away, this team truly works to make sure their clients are completely satisfied with the results. This expert team will be able to walk you through all of the aspects of a remodel including cabinetry, storage, flooring, color schemes and more. There is nothing better than knowing that you will love the results even before you see them. As far as local remodeling companies go, Pekel Construction & Remodeling is one of the most accommodating in the business. When you have an unusual idea or concept that you would like the team to implement, they will walk you through the logistics of the structuring and getting the materials needed within your budget. 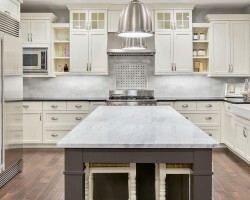 Knowing that the Milwaukee kitchen remodeler is always working to keep the project as cheap as possible means never having surprise costs or a massive bill at the end of the renovation. 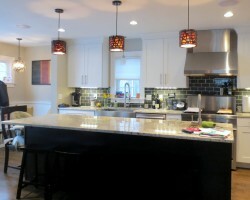 Lakeview Remodeling Inc. is a professional company that has the best team to create the kitchen of your dreams. Reviews even rave about this company for their affordable prices too. Working with this company is a remodeling experience. First you will work with a designer that is able to take your tastes and your likes into consideration to develop a plan that will be approved by you before it is even seen by the construction team. From there, the building, tile, plumbing and designing teams will work together to finish the remodel quickly.